Bucky Dent is scheduled to meet and greet fans and sign autographs and memorabilia at 4:00 p.m. Thursday, August 4, 2016. An autograph ticket must be purchased for every signature you want. (Except free autograph guests.) Autograph tickets may be purchased in advance, or on-site at the TRISTAR Autograph Ticket Booth. Fees vary for each guest. 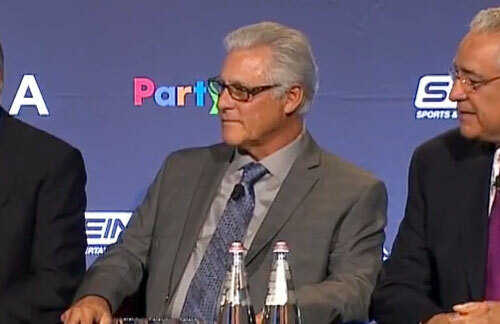 Bucky Dent is a former Major League Baseball player and manager. He earned two World Series rings as the starting shortstop for the New York Yankees in 1977 and 1978, and was voted the World Series MVP in 1978. Dent is most famous for his home run in a tie-breaker game against the Boston Red Sox at the end of the 1978 season. The Red Sox had led the American League East Division by as much 10 games (July 6th) that season and led the New York Yankees by as much as 14 games (July 19th).